The Open Day of Tuen Mun Public Riding School will be held on Sunday 13 May 2018 organized by The Hong Kong Jockey Club. 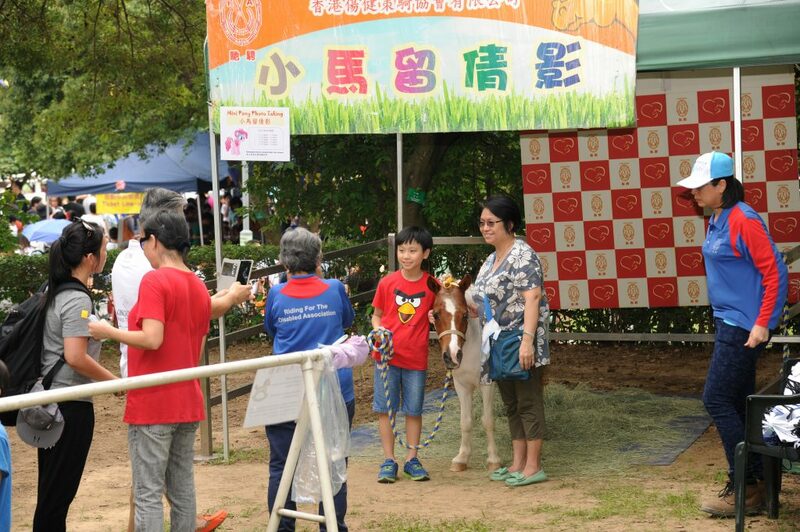 Riding for the Disabled Association (RDA) will set up several booths including Charity Drink, Snack & Ice-cream Sale, Charity souvenir counter and Mini Ponies Charity Photo Taking. Fund raised goes to general fund for providing FREE Therapeutic Riding Training provided to the disabled people in Hong Kong at our both Tuen Mun and Pokfulam centres. One of the highlights was the RDA rehab riders, who led by their RDA instructor and volunteers, paraded in front of hundreds of visitors confidently on horse back.